FRP (Fiber-reinforced plastic) is the traditional material widely used in various industries. 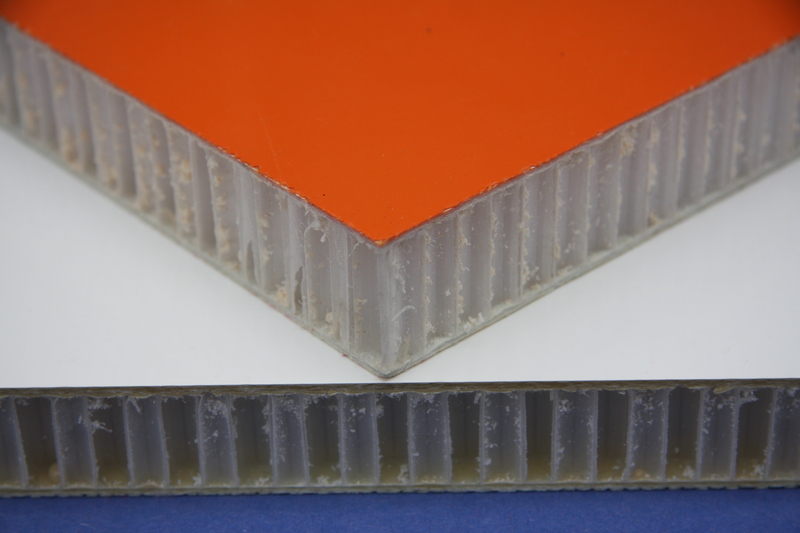 FRP can be laminated with PP honeycomb fabric panels to produce a strong but light weight sandwich-like structure. We do this by applying an adhesive under vacuum (cold lamination). 1. FRP surface can be well accepted by different customers. 2. Very light weight structure. 3. Very high impact resistance and flexura strength property. 4. Excellent water and corrosion resistance. Widely used in vehicles and construction, like truck trailer, truck refrigerator, yacht, train, boat,door, furniture, Swimming pool and buildings..